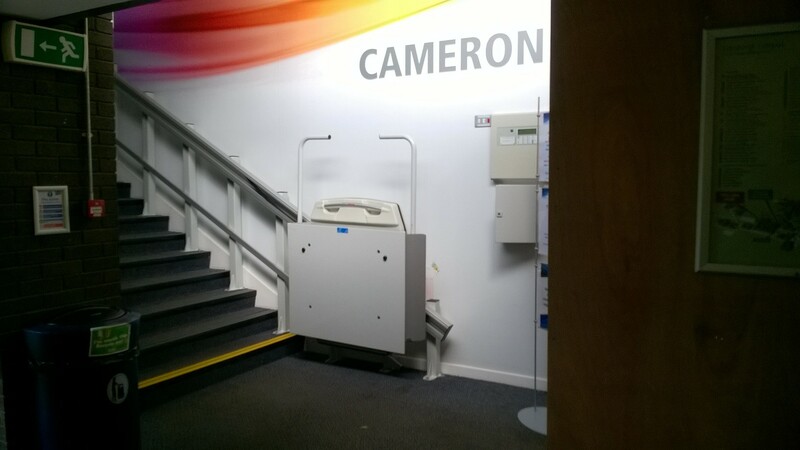 The building works in the library are in order to improve the lift at the main entrance. 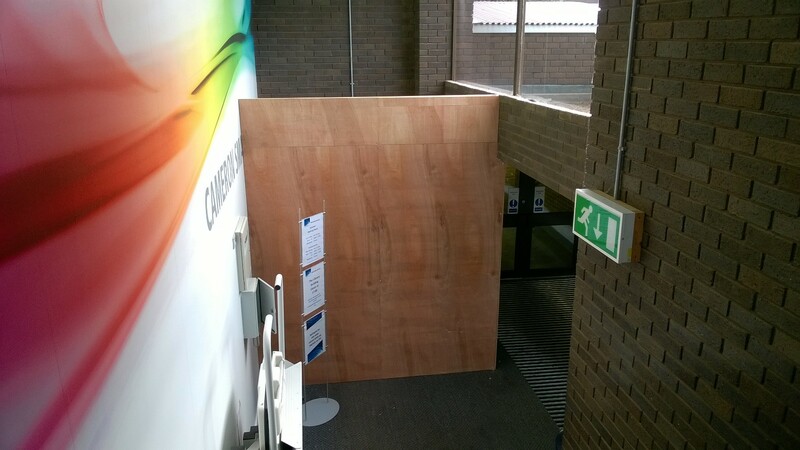 This area has been boarded off and the rear entrance to the library is blocked off. The main entrance to the library is open as usual. The main entrance of the library leads to Floor 1 which is the main entrance floor of the library building and services are operating from here as usual. The ground floor of the library building, which is downstairs from the main floor, is not accessible at the moment but if you require any journals or dictionaries from the ground floor reading rooms, then please ask at the Service Desk. So far the building work has not proven to be too noisy but this may change next week so apologies for any inconvenience that this may cause. We are looking forward to a new, shiny lift in September.